Real-time fraud detection in credit card transactions is challenging due to the intrinsic properties of transaction data, namely data imbalance, noise, borderline entities and concept drift. The advent of mobile payment systems has further complicated the fraud detection process. This paper proposes a transaction window bagging (TWB) model, a parallel and incremental learning ensemble, as a solution to handle the issues in credit card transaction data. TWB model uses a parallelized bagging approach, incorporated with an incremental learning model, cost-sensitive base learner and a weighted voting-based combiner to effectively handle concept drift and data imbalance. Experiments were performed with Brazilian Bank data and University of California, San Diego (UCSD) data, and results were compared with state-of-the-art models. Comparisons on Brazilian Bank data indicates increased fraud detection levels between 18–38% and 1.3–2 times lower cost levels, which exhibits the enhanced performances of TWB. Comparisons on UCSD data indicate improved precision levels ranging between 8 and 25%, indicating the robustness of the TWB model. Future extensions of the proposed model will be on incorporating feature engineering to improve performances. The authors would like to thank DEITY for the financial support extended under Visvesvaraya Ph.D. scheme (NITT/RO/DEITY-Ph.D. Cont. grant/2015-16). 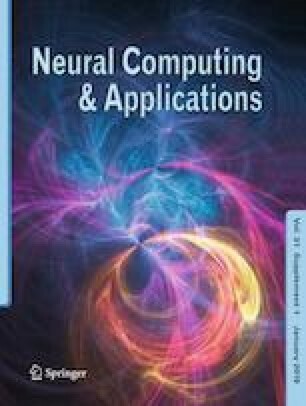 The authors would like to acknowledge the infrastructure support provided by the Massively Parallel Programming Laboratory (CUDA Teaching Centre), Machine Learning and Data Analytics Laboratory and Big Data Laboratory, Dept. of Computer Applications, NIT, Trichy. The authors would also like to thank Dr. Manoel Fernando Gadi, Univ. of Sao Paulo, Brazil and Dr. Neda Solatani, Amirkabir University of Technology, Iran, for providing the Brazilian Bank Dataset.